In the upcoming version of Hotmail, the free, web-based email service from Microsoft, there will be a greater emphasis on security. In addition to the numerous, new spam-fighting features previously announced, the new Hotmail will also offer additional security features, reports SC Magazine after confirming the changes with a Microsoft spokesperson. 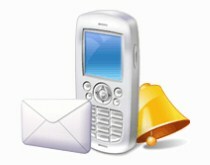 For example, users will be able to associate a Hotmail account with their mobile phone so when a password is forgotten or lost, it can be sent via text message. That makes the password reset procedure more secure as only you have access to your phone. Also new is a “one-time password” option. If you’re worried about security, like when using a public computer that may or may not be infected malware, this single-use password lets you into your account but can never be used again. Plus, from now on, the entire Hotmail session will be encrypted via SSL, not just the login procedure. Finally, inside your inbox, emails from “trusted senders” (those from legitimate institutions and businesses) will be visually highlighted with a new “safety logo” as being trustworthy. These changes are just a small part of the upcoming revamp to the refreshed service. You can read about all the new features here.